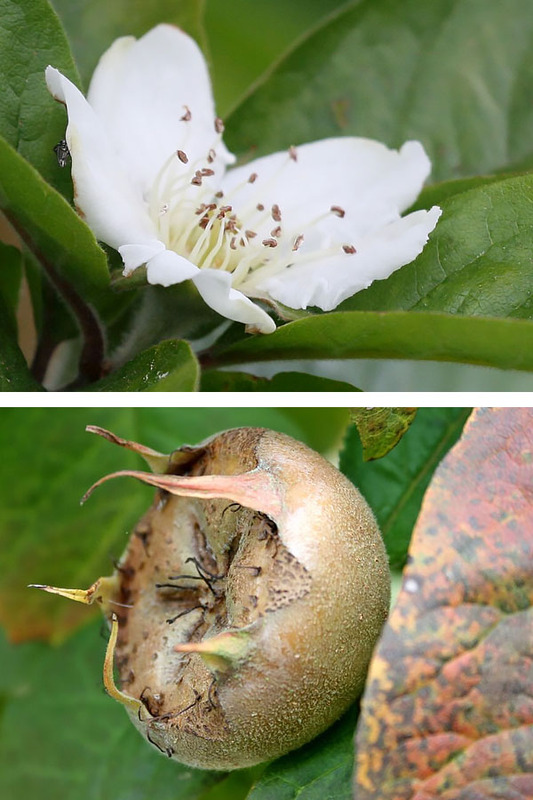 Our aim is to restore medlars to pride of place on British tables. 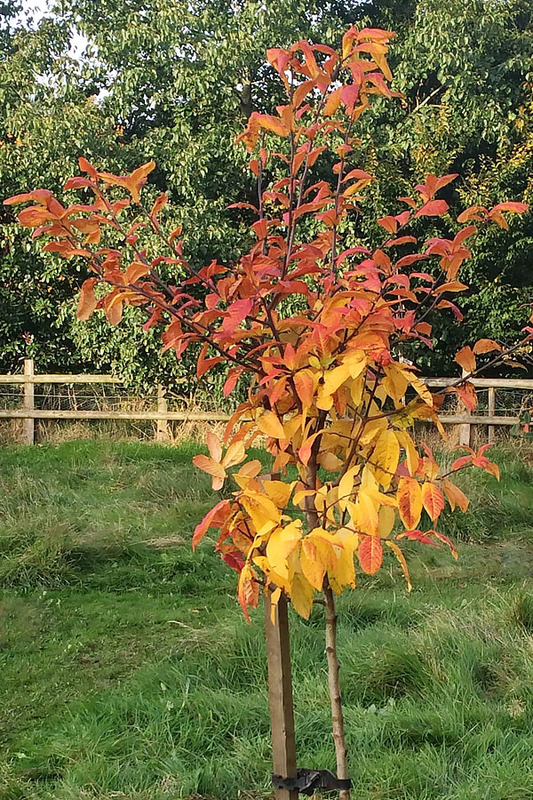 Our plot was a fruit farm a century ago and we’re reviving a long tradition of growing here, with our orchard of 100 Nottingham medlar trees. They’re alive with colour for much of the year: white and yellow flowers in early summer, green leaves that turn to gold and russet in autumn. Their fruit is one of the most flavoursome and reliable varieties, harvested in November. The medlar, mespilus germanica, is Iranian and was brought to us by the Romans, remaining popular in Britain for hundreds of years. 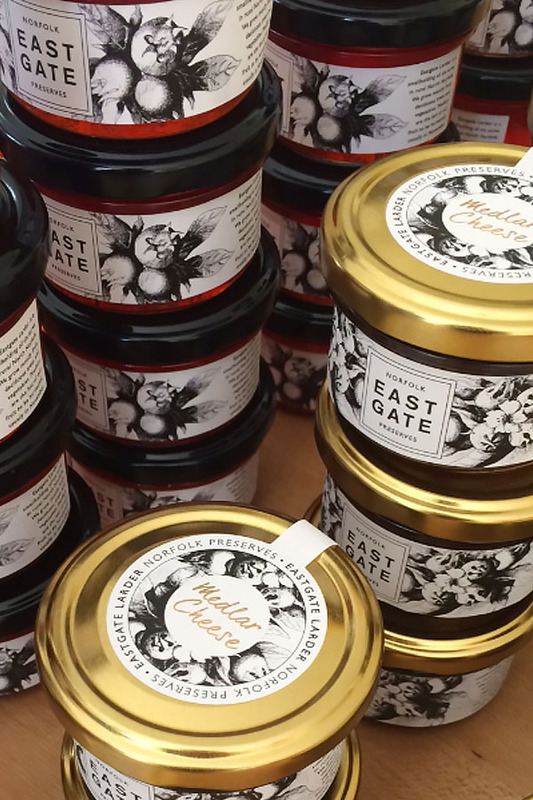 Our medlar jelly and medlar fruit cheese are made in small batches, exclusively with fruit grown in Norfolk, mostly at Eastgate. The jelly is delicious served with game and other meats, hot or cold. 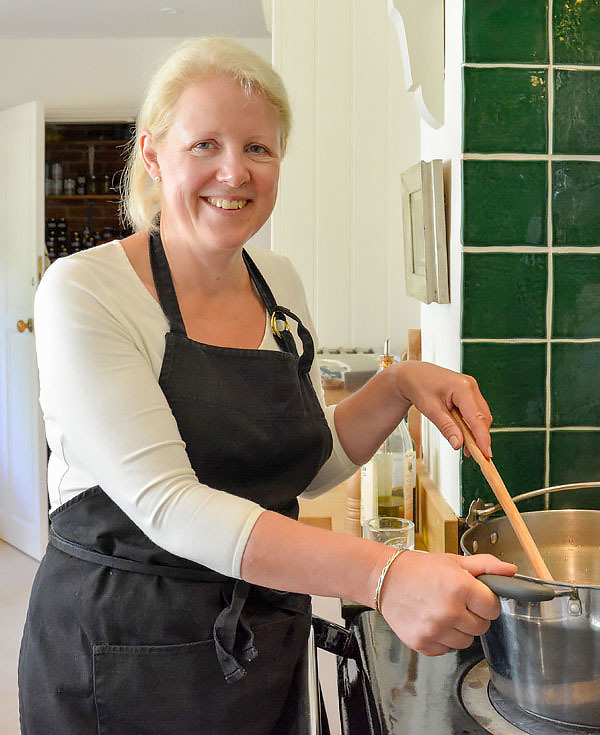 A spoonful enriches sauces and may also be used as a condiment. It’s lovely with soft cheeses and pâtés. Our fruit cheese is a preserve of set medlar fruit puree, which is especially well suited to hard and blue cheeses. Some people enjoy it simply spread on hot toast.